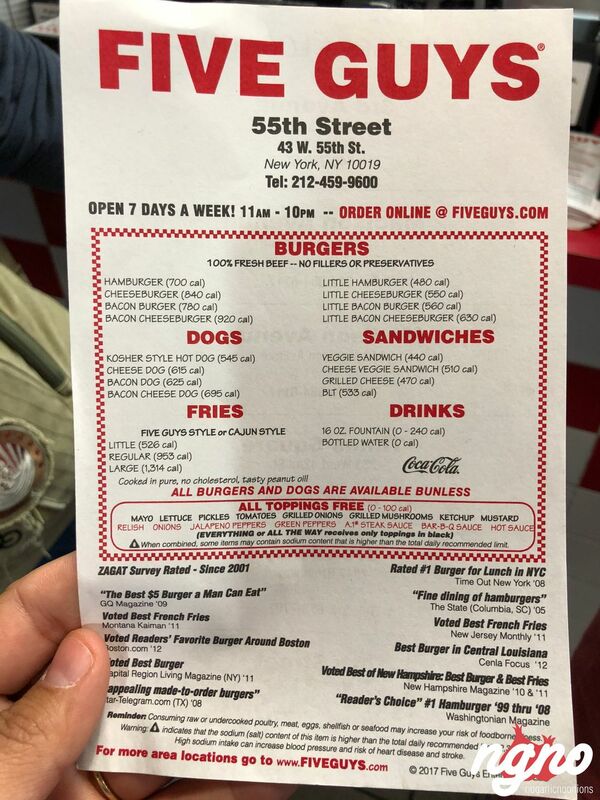 Let’s get straight to the point, no descriptions, no introductions just the real deal centre of attention: one of my favorite burgers ever, one of the world’s best! 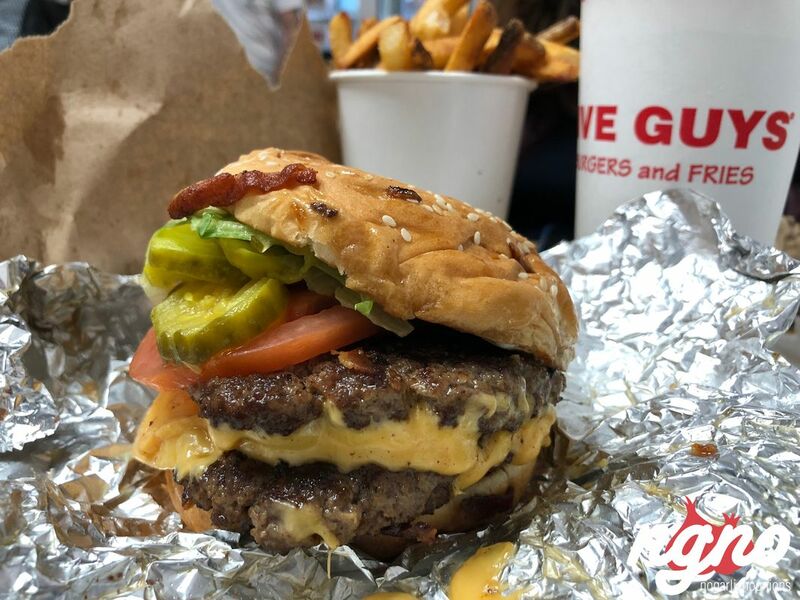 After trying Five Guys in Paris, Dubai and two times in New York, I can reconfirm that their burgers are indeed exceptional. 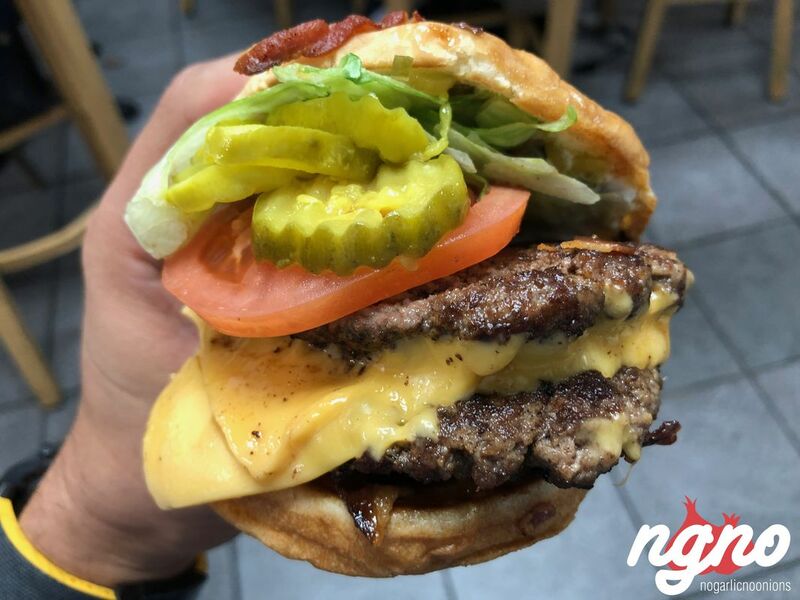 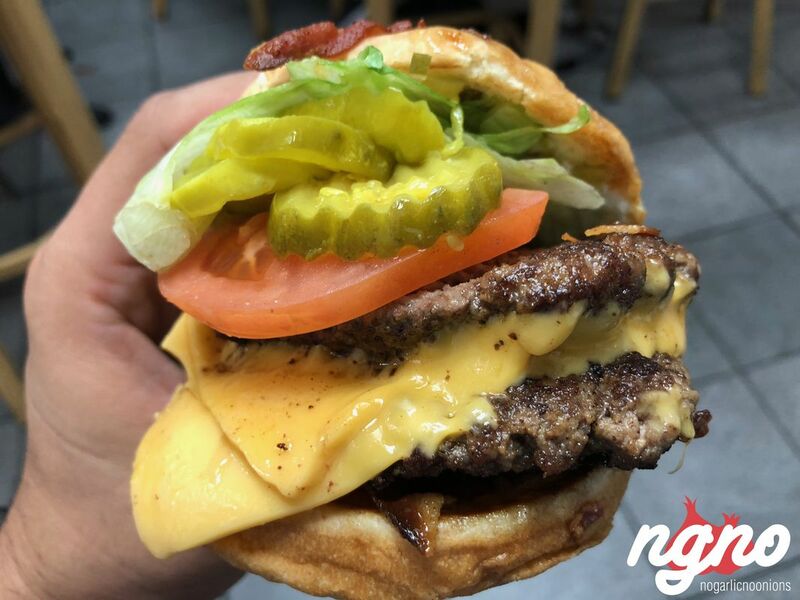 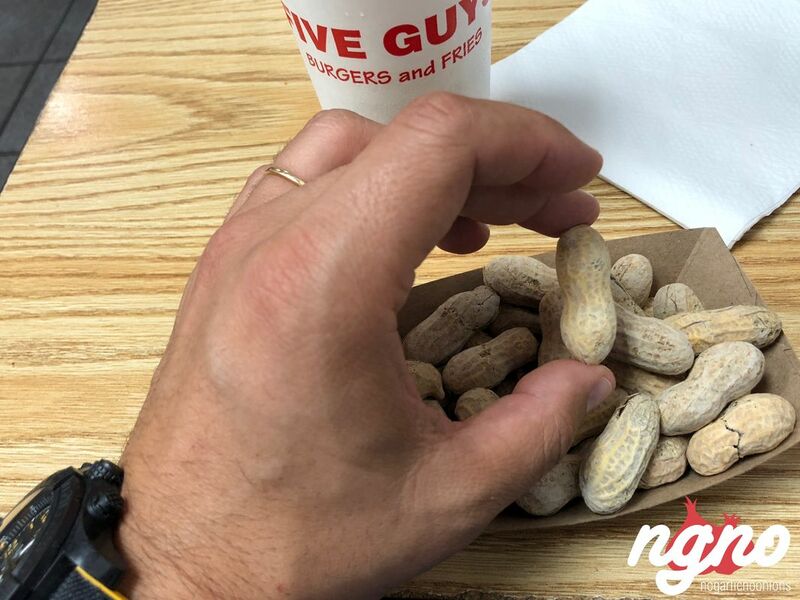 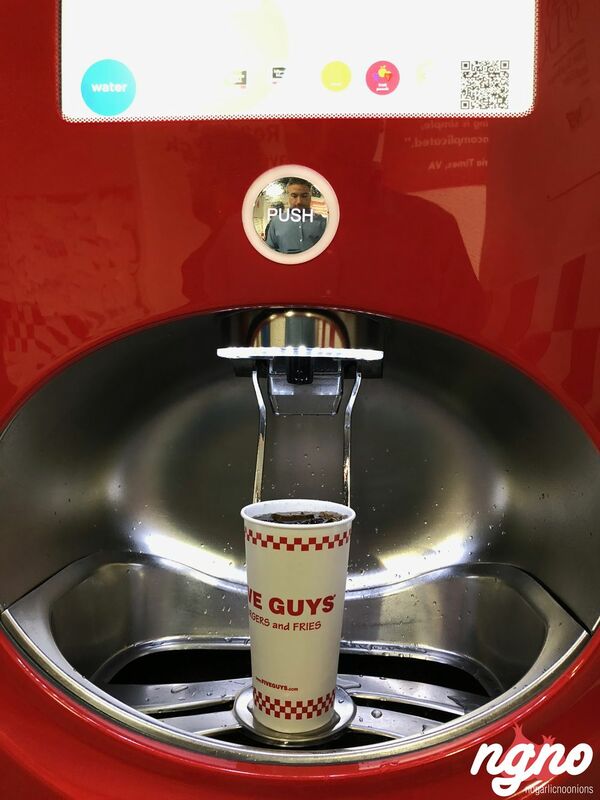 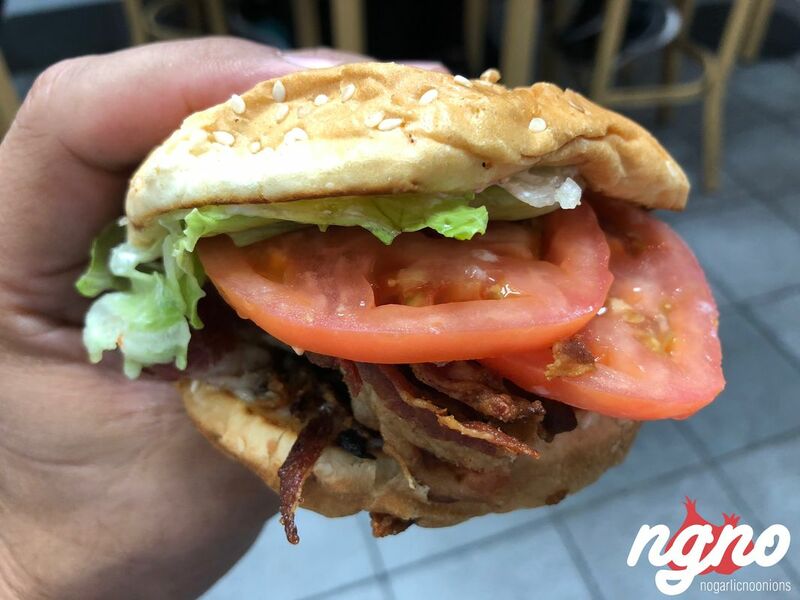 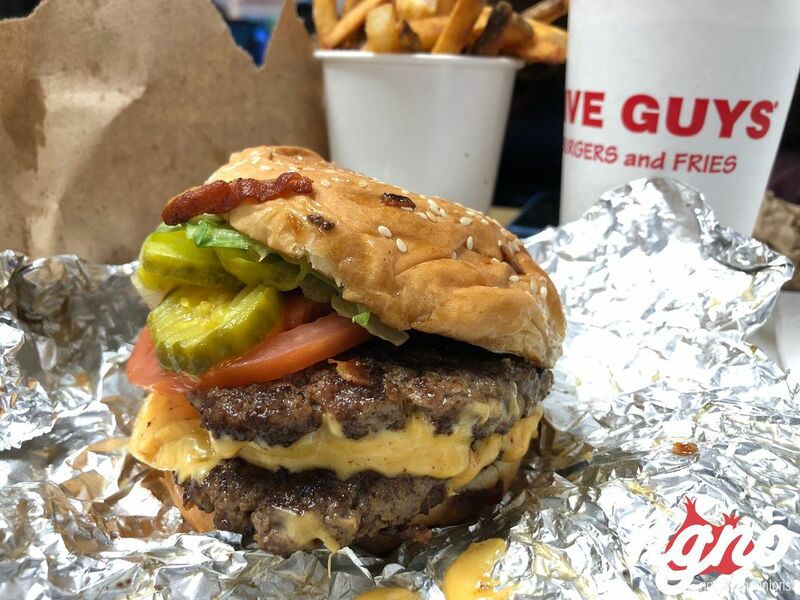 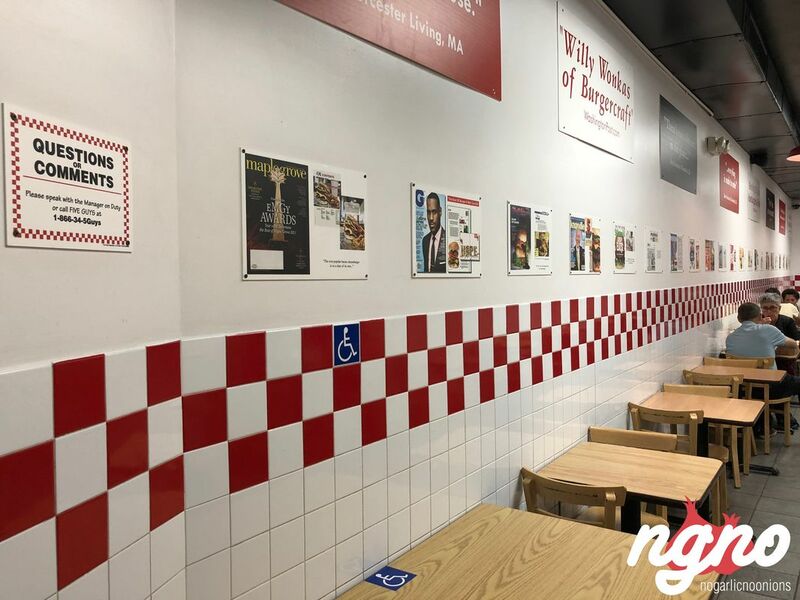 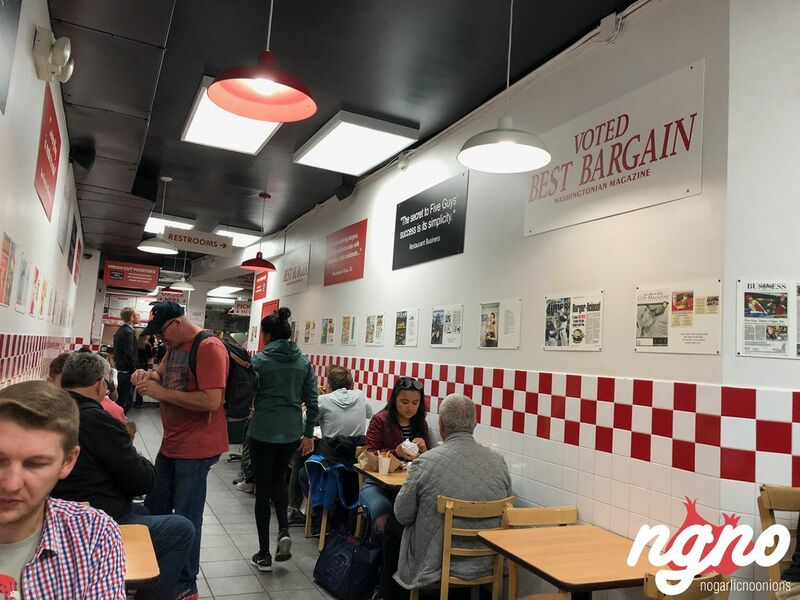 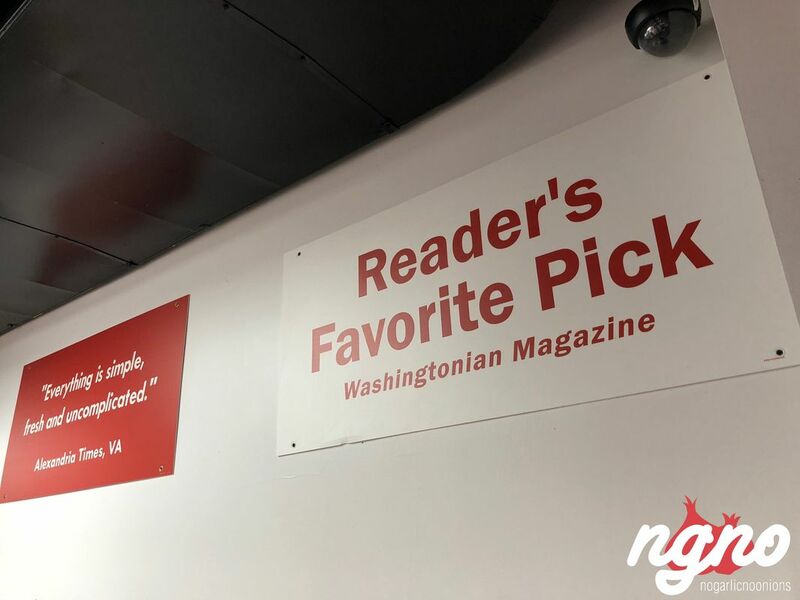 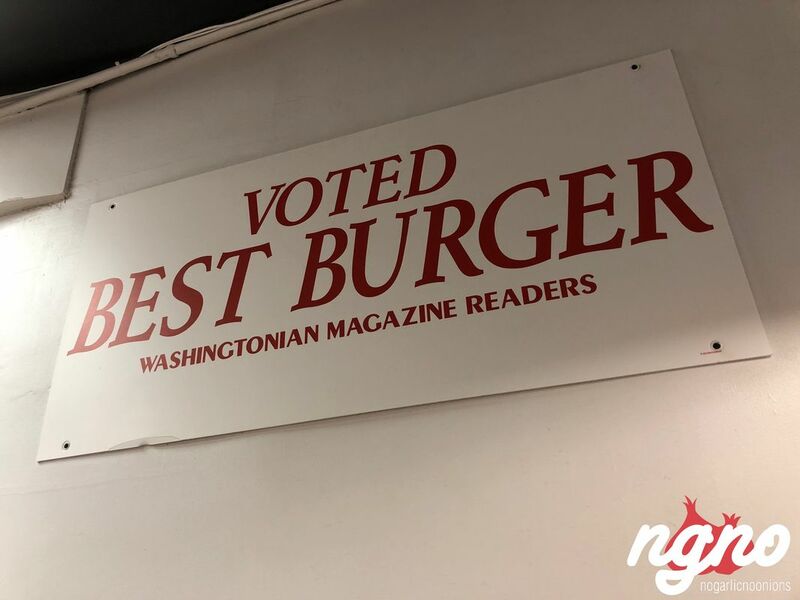 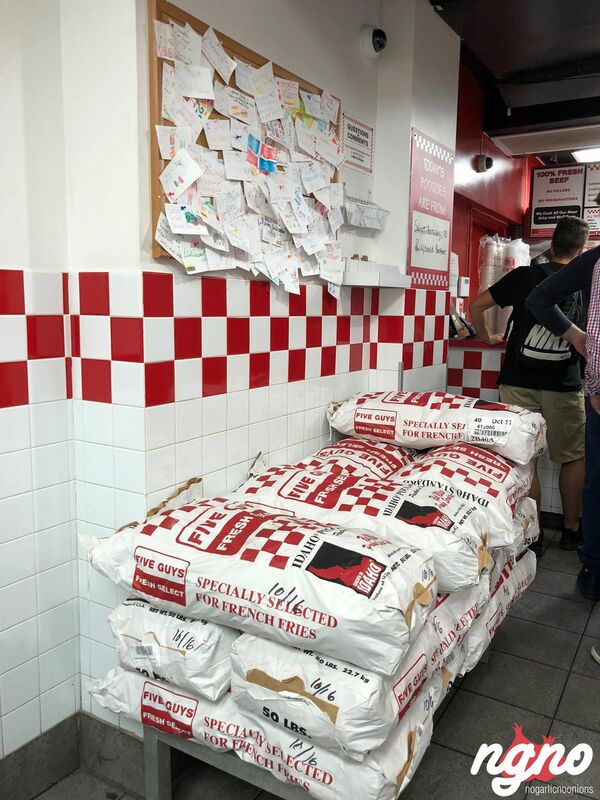 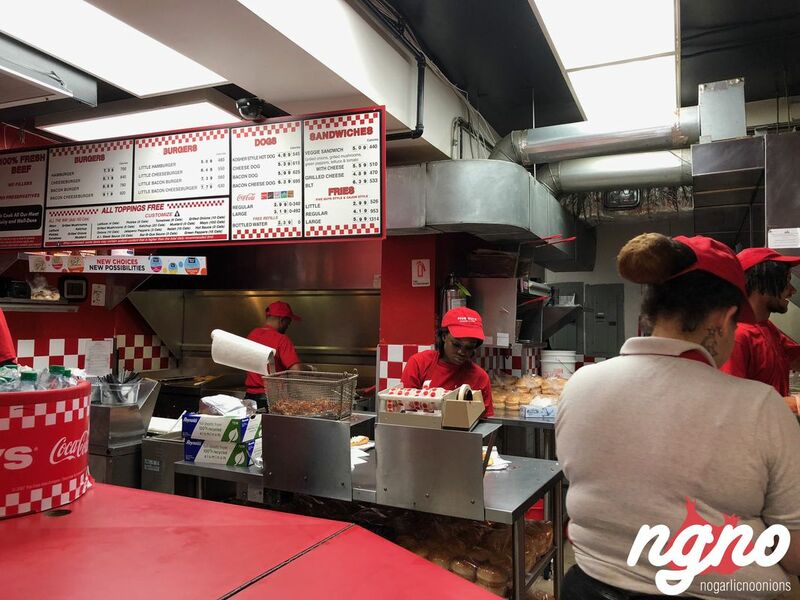 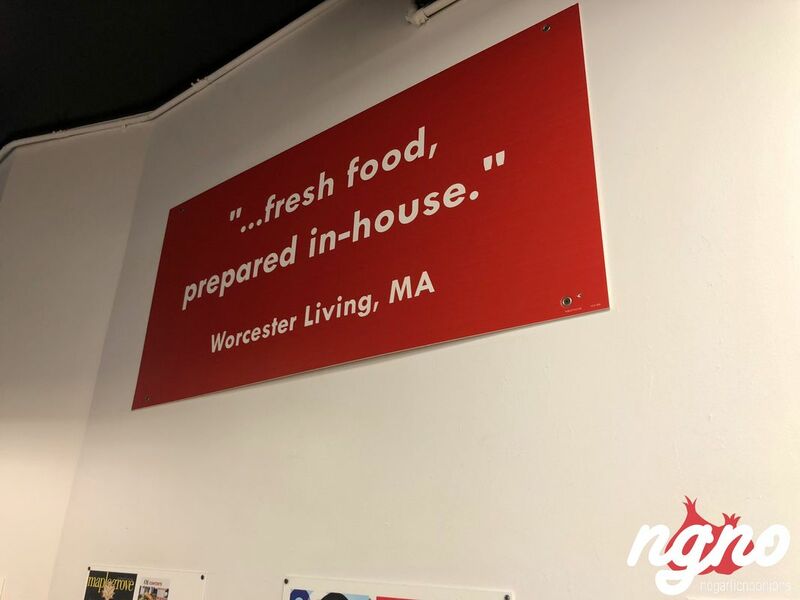 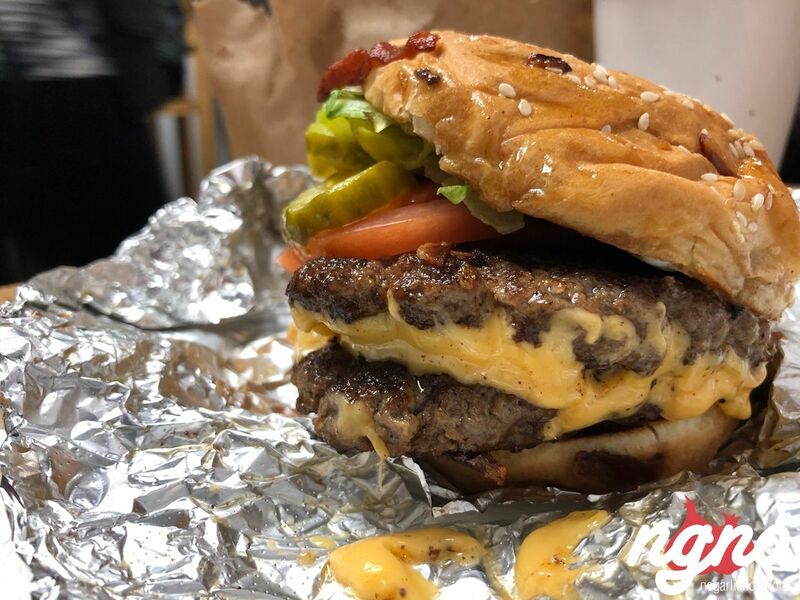 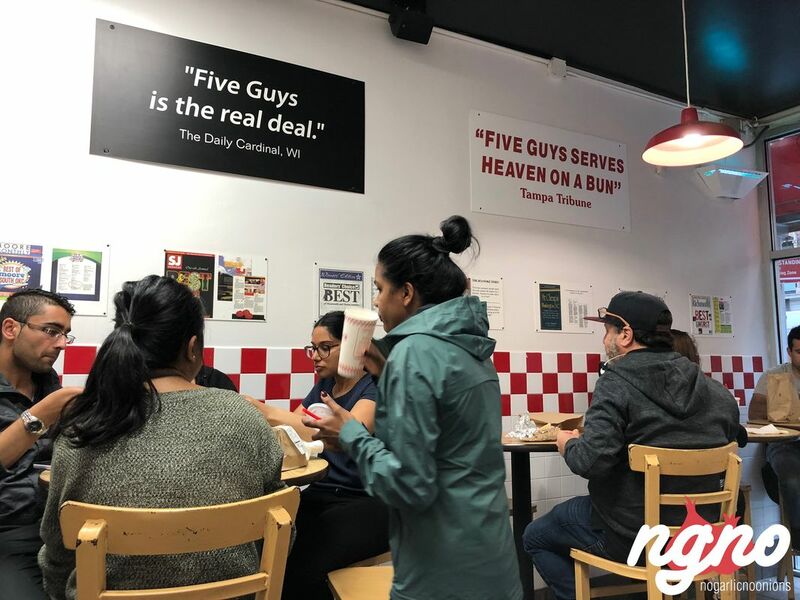 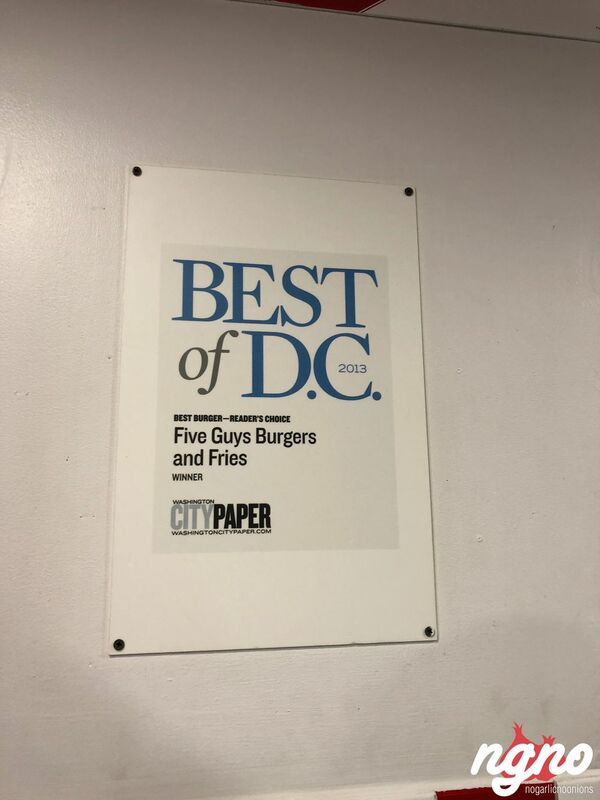 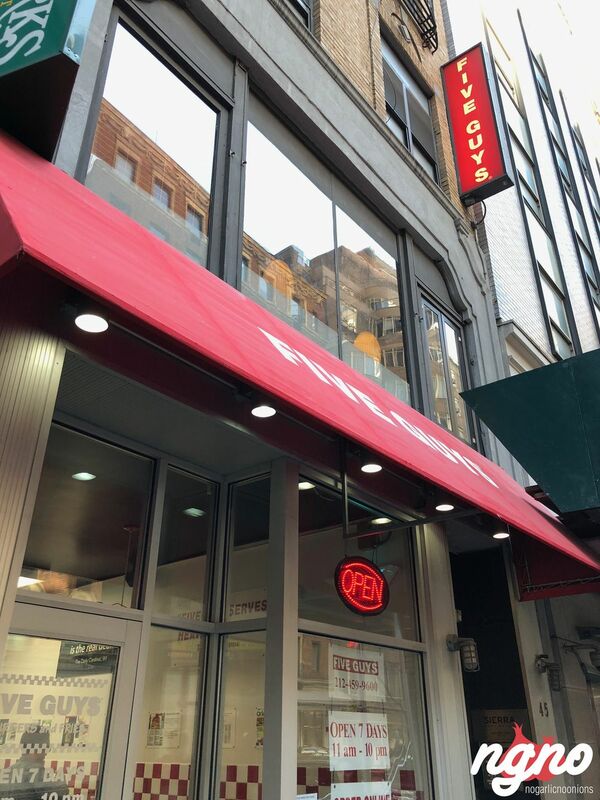 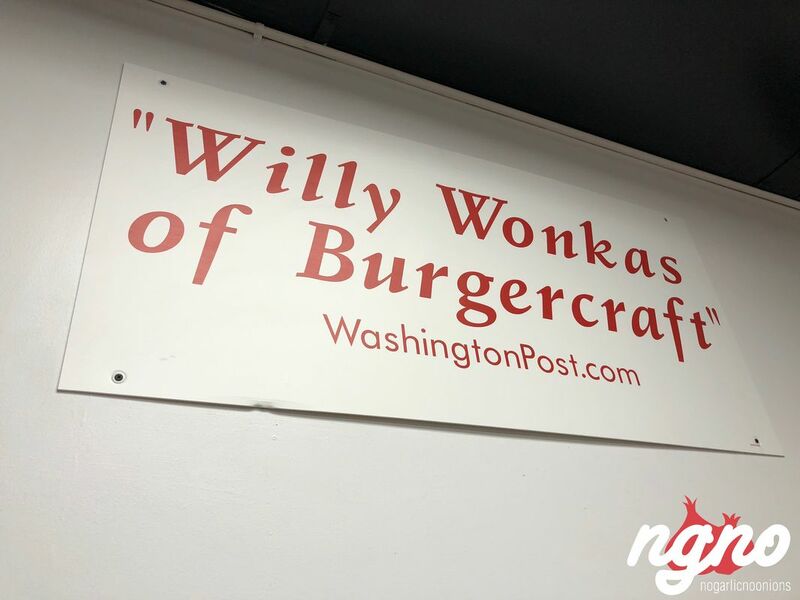 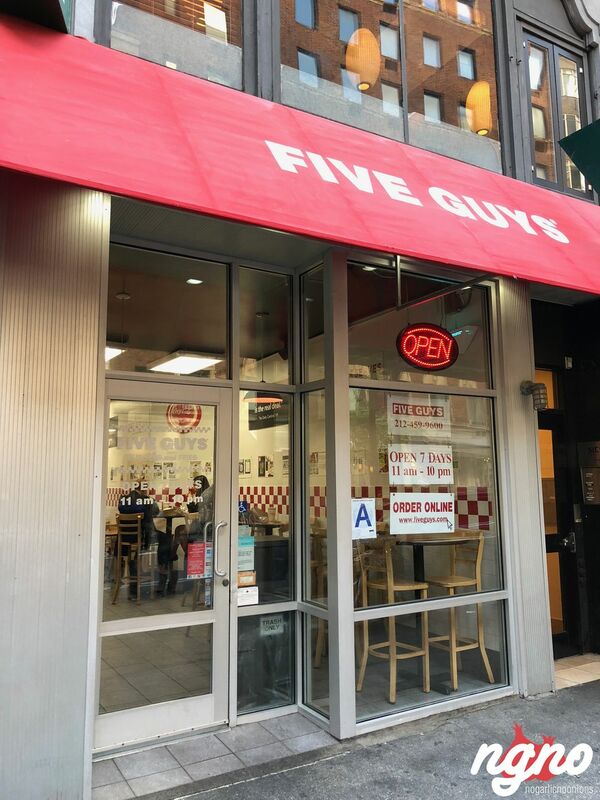 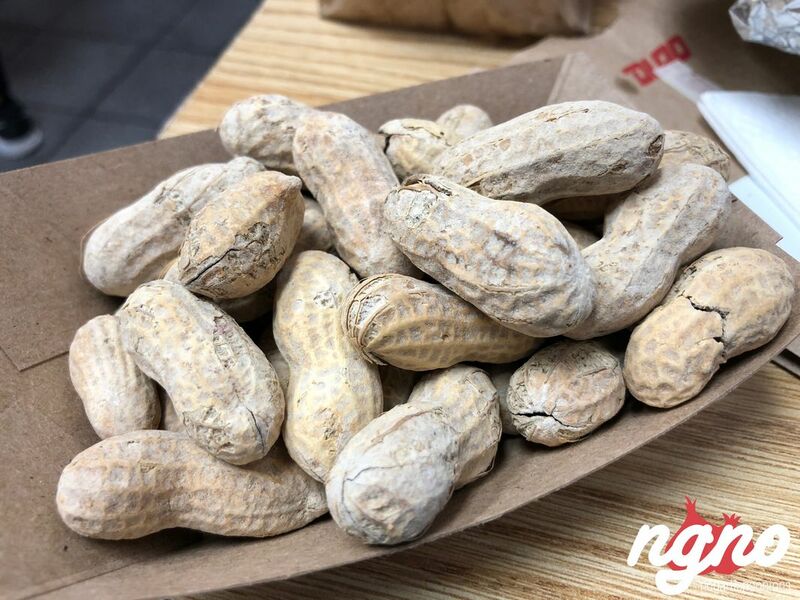 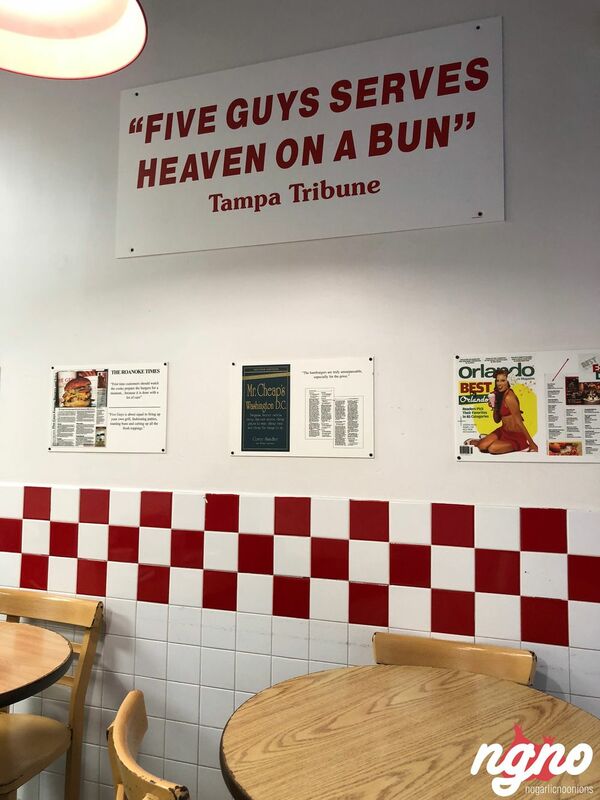 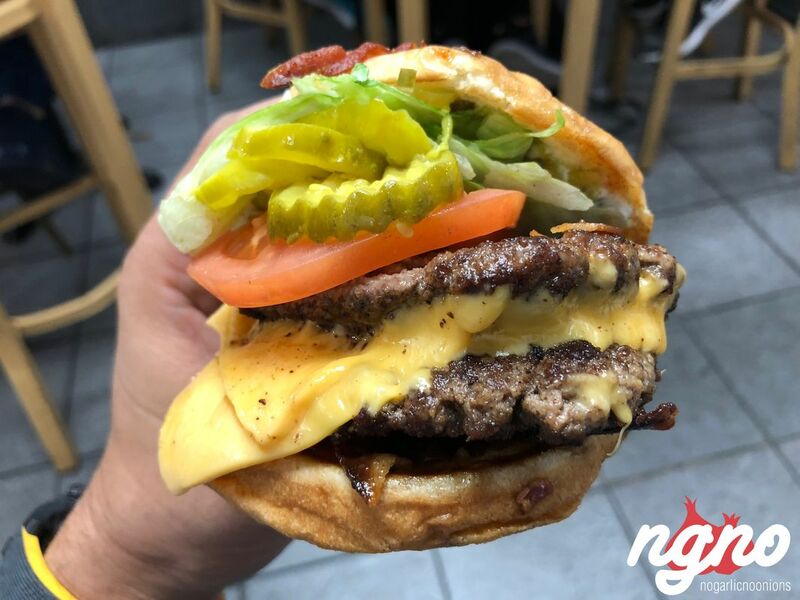 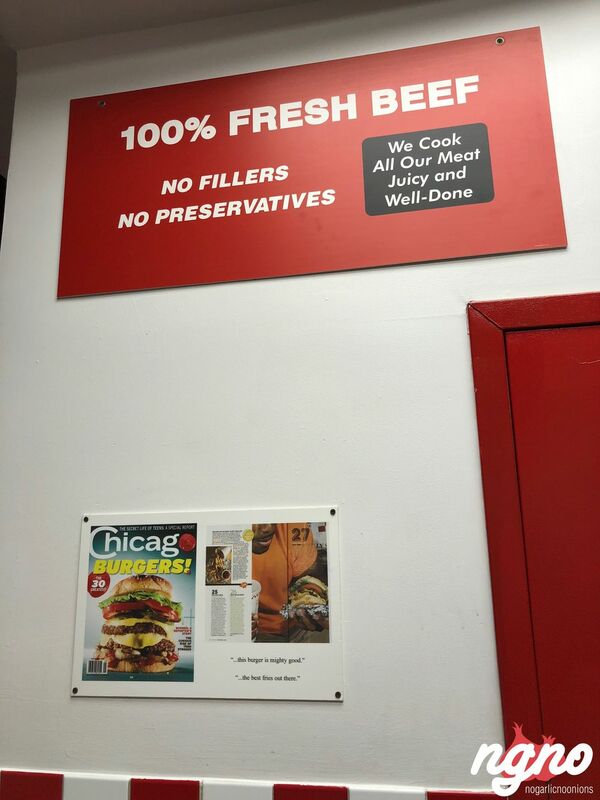 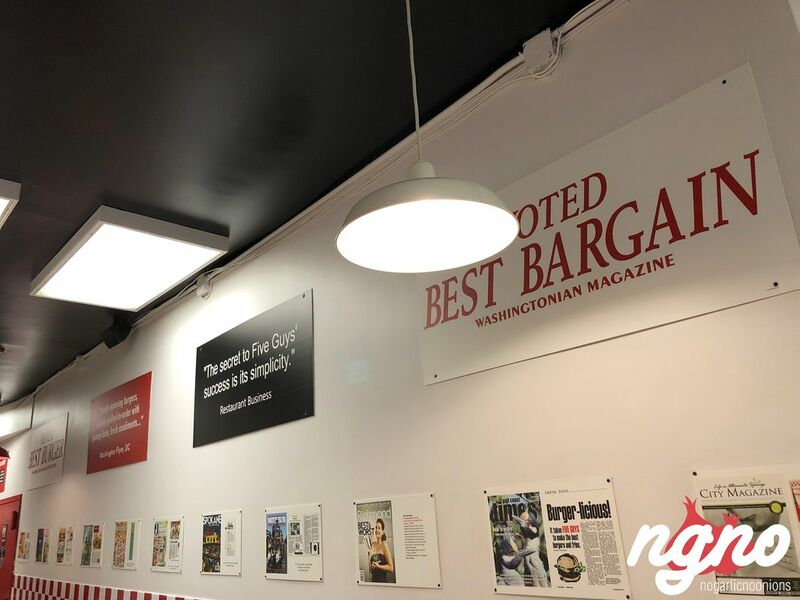 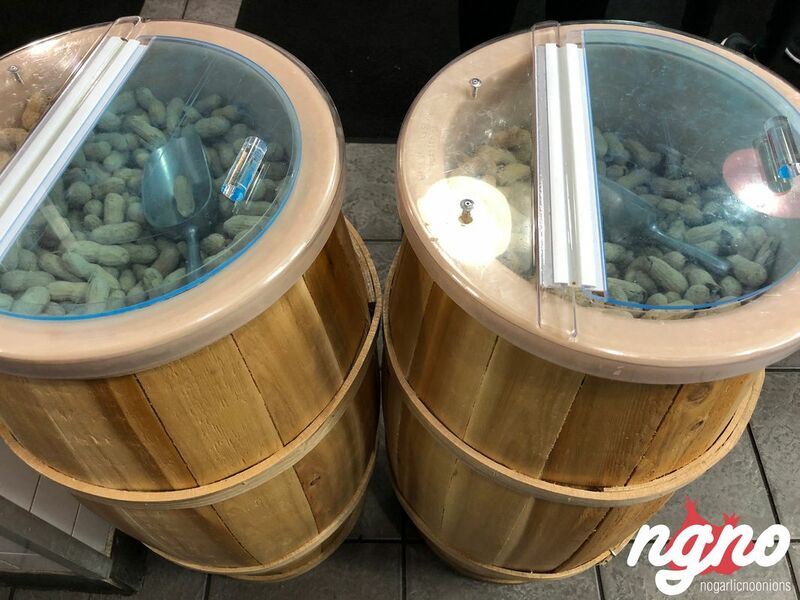 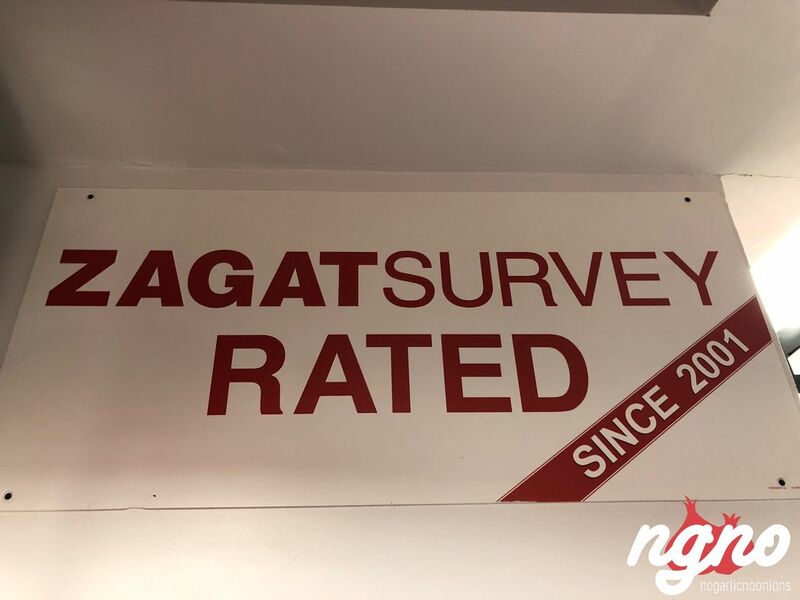 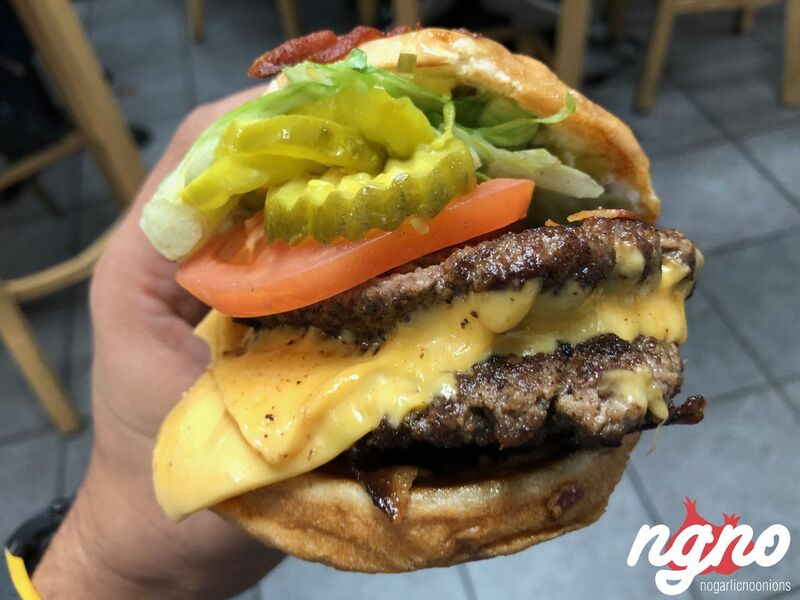 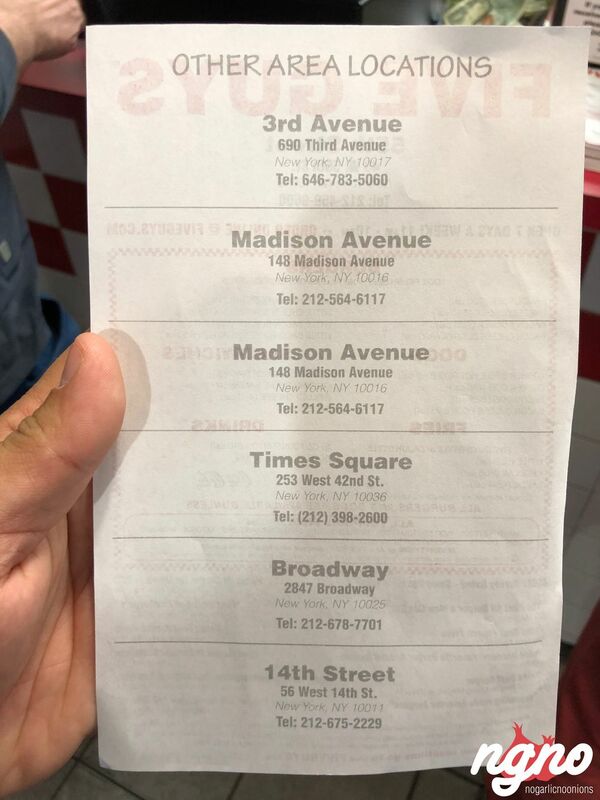 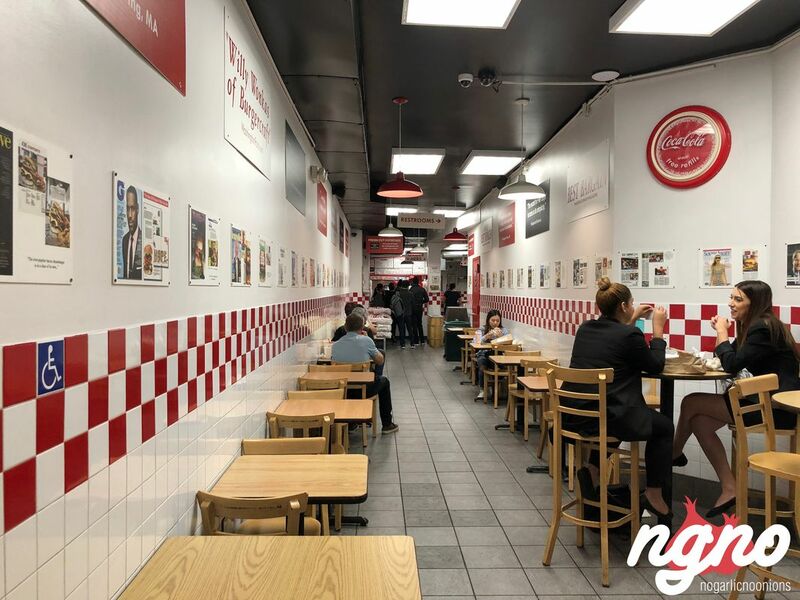 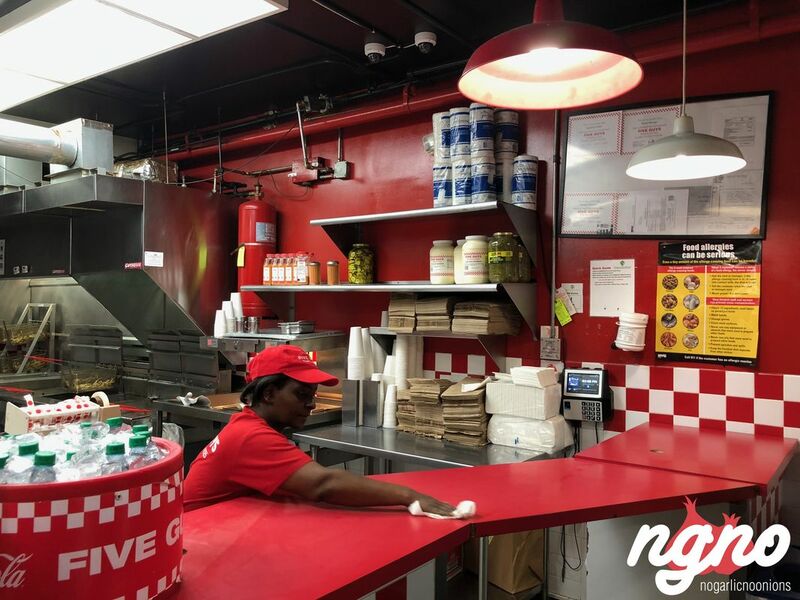 All the major magazines say that Five Guys is their favorite burger, and it truly deserves the praise! 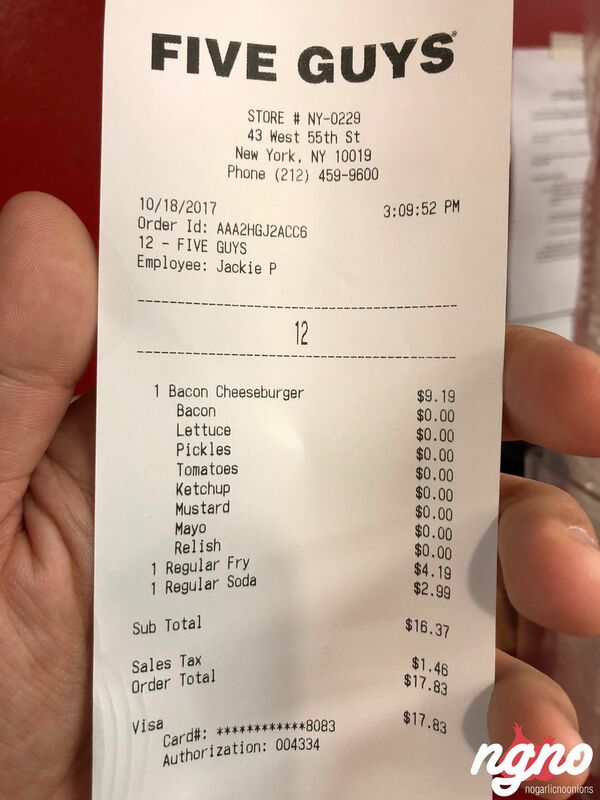 How it works: order the burger with cheese and bacon. 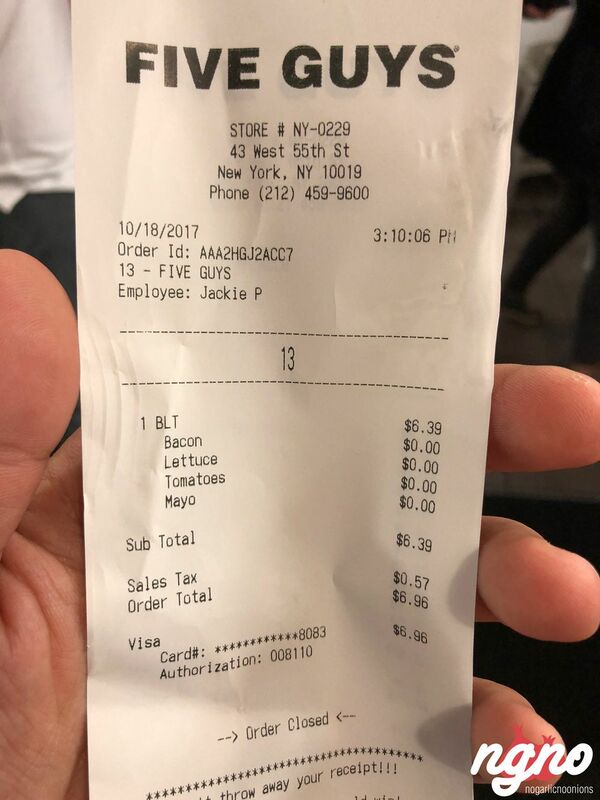 You can include anything you want in your burger without extra cost. 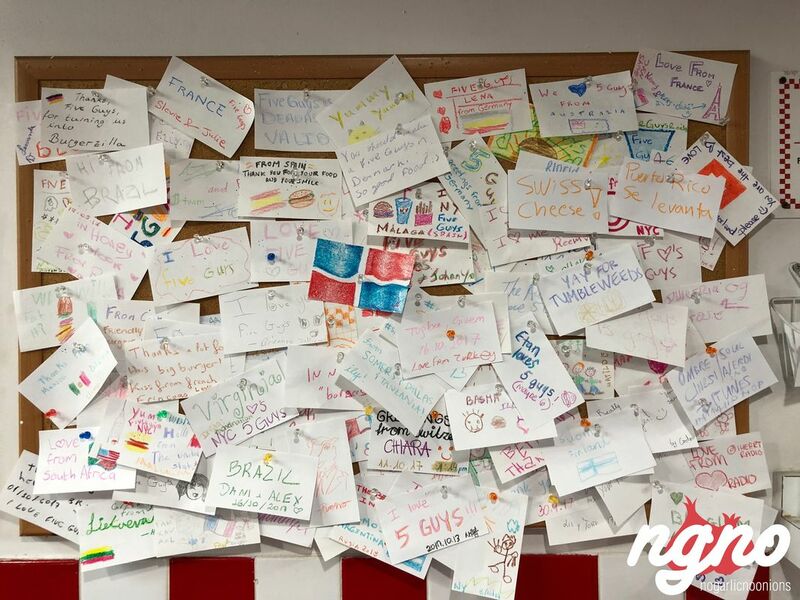 My personal favorite would be cheese and bacon with lettuce, pickles, tomatoes, ketchup, mustard, mayo, and relish. 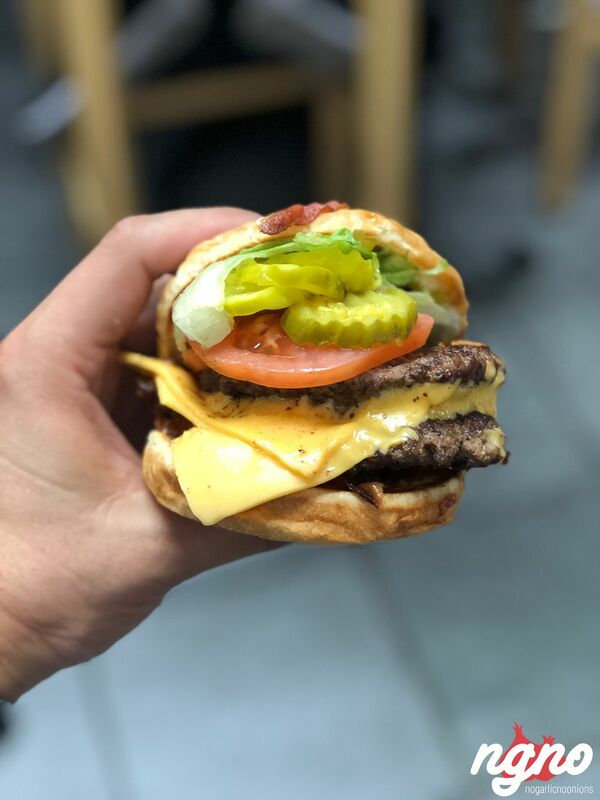 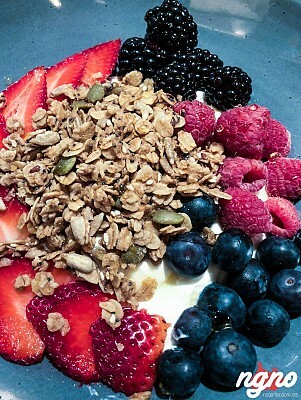 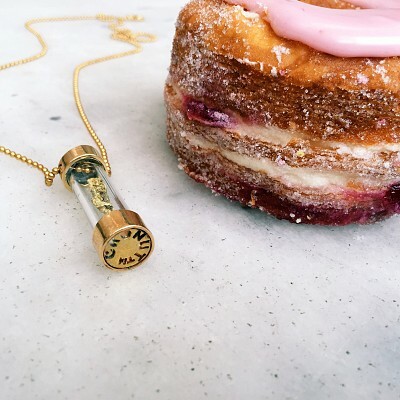 Everything is simple and delicious! 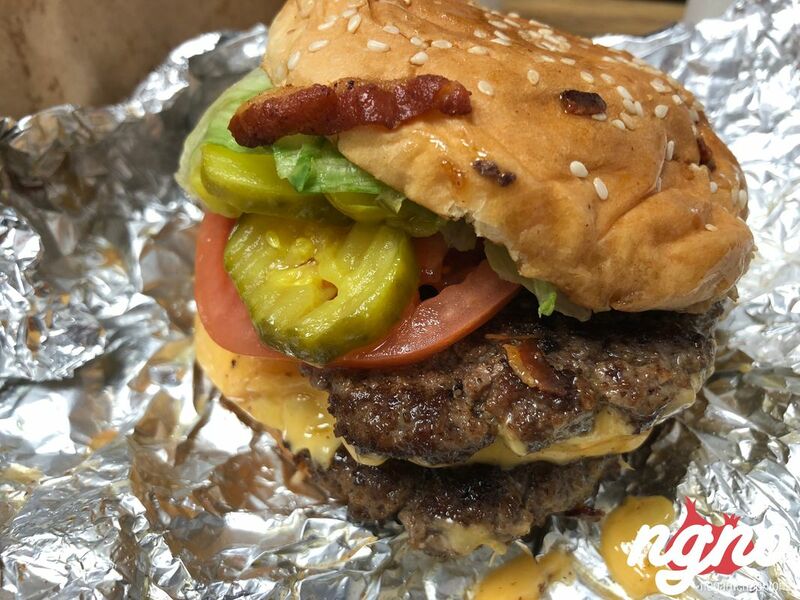 A very juicy not too fatty, well-done patty; two of them in fact. 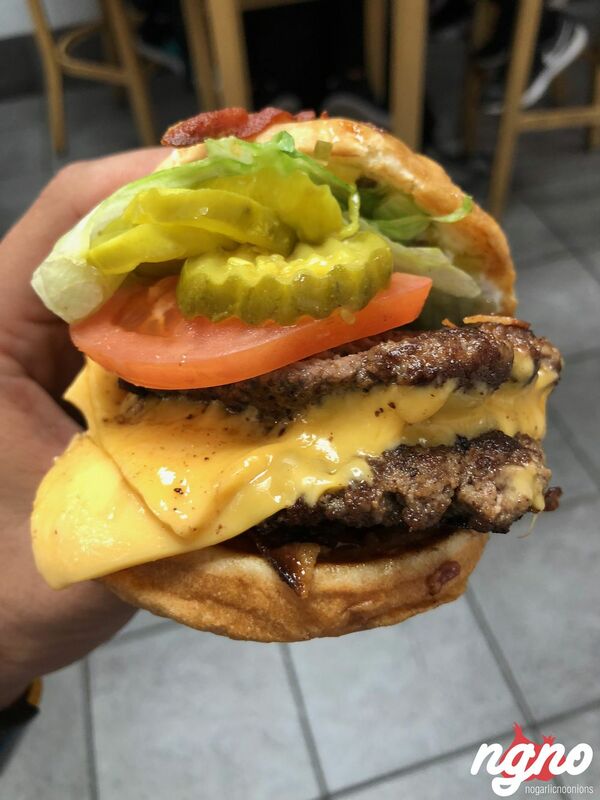 Two layers of cheddar cheese. 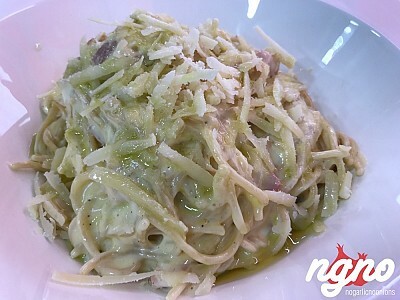 Very fresh and crunchy vegetables. 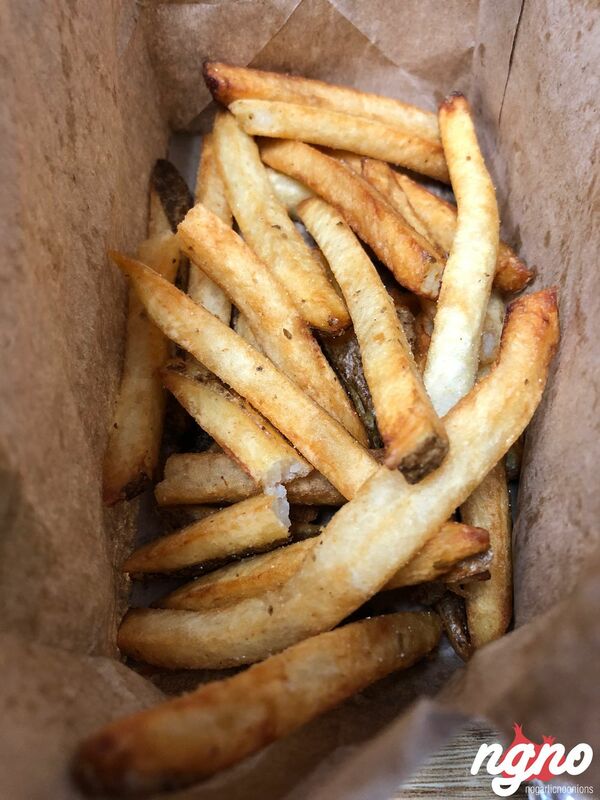 Super duper crispy bacon chips. 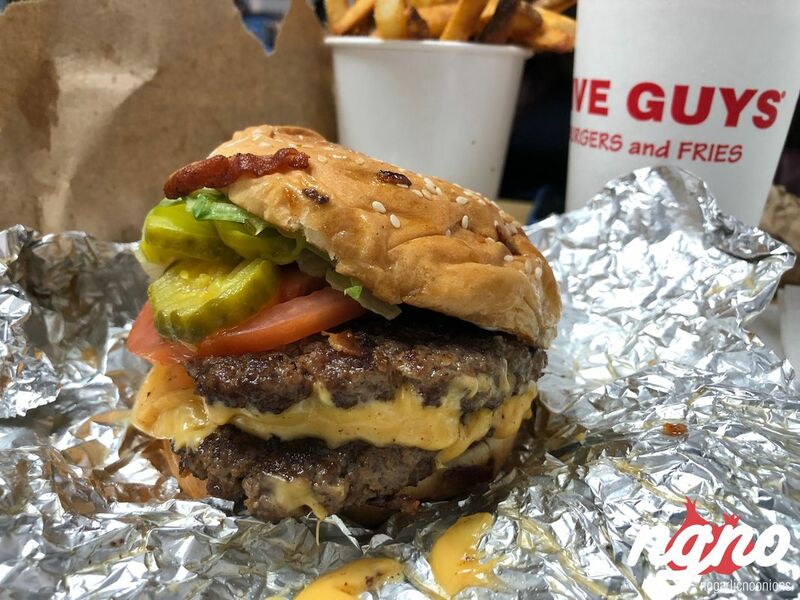 Ketchup, mustard, and mayo to give it all the juiciness and taste. 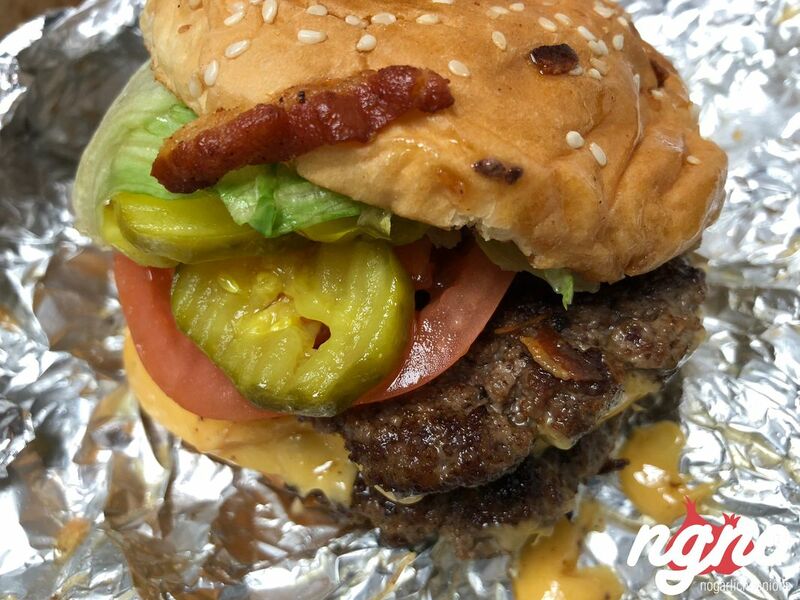 The burger is wrapped in aluminum foil preserving its taste and heat. 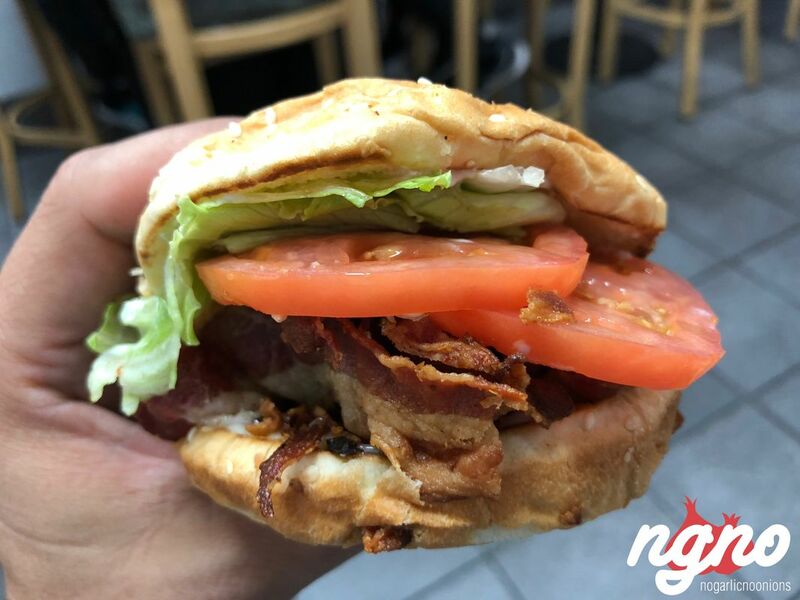 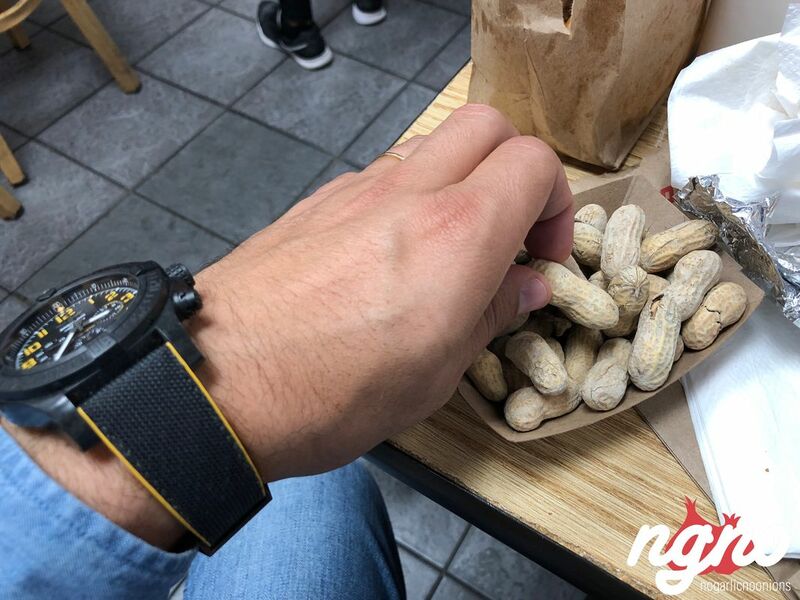 It’s so finger-licking good. 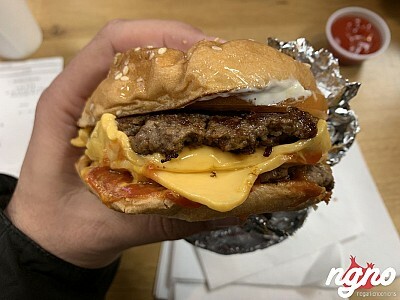 In a whole other league to the fatty offering from Shake Shack, and the cheap and synthetic burgers of Mc.Donald's or any other fast food burger I’ve had in town, this is undoubtedly my favorite. 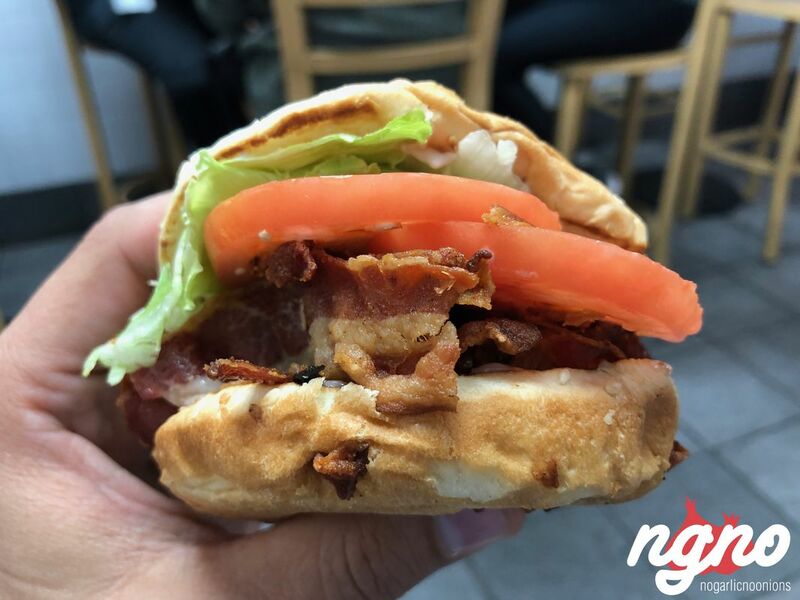 I also had the BLT, crispy bacon sandwich which I loved, but lets stick to the burger here. 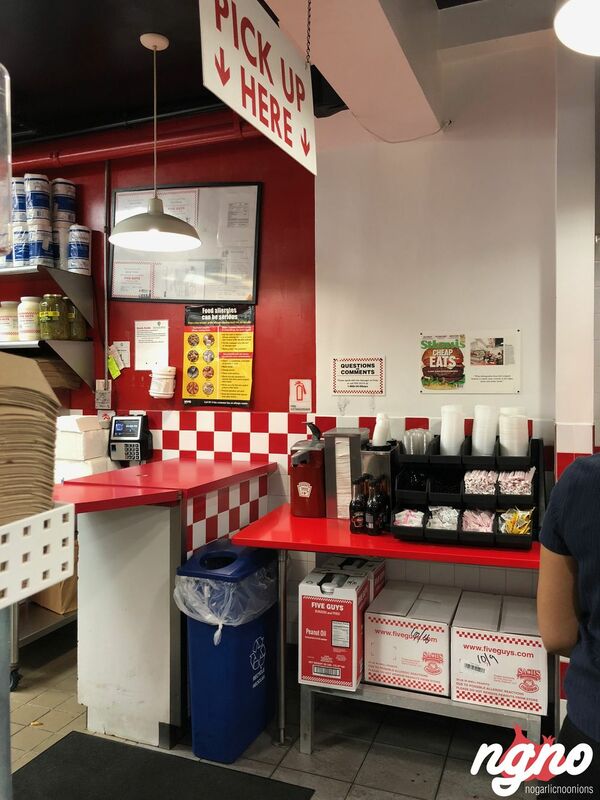 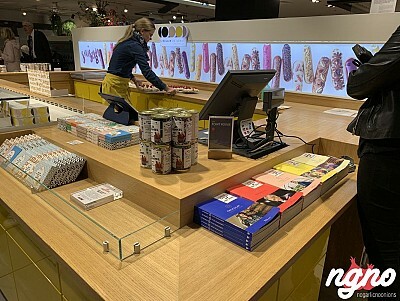 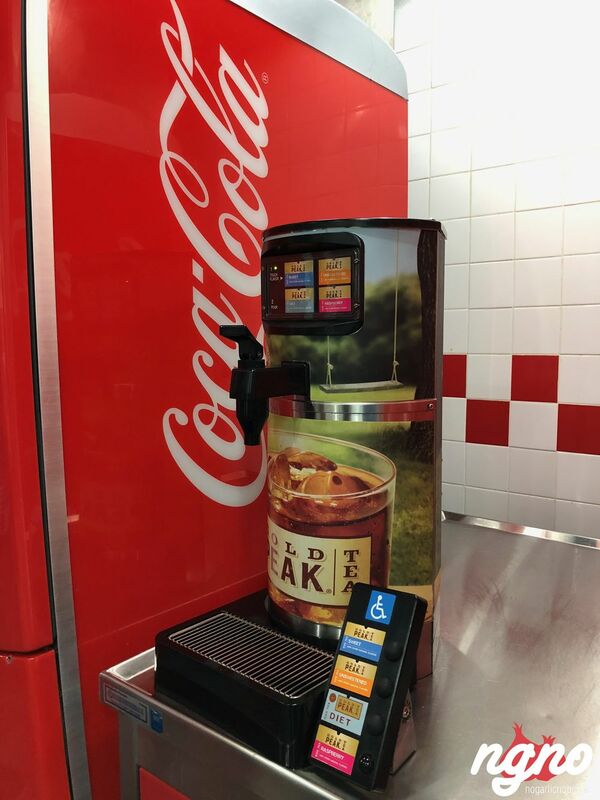 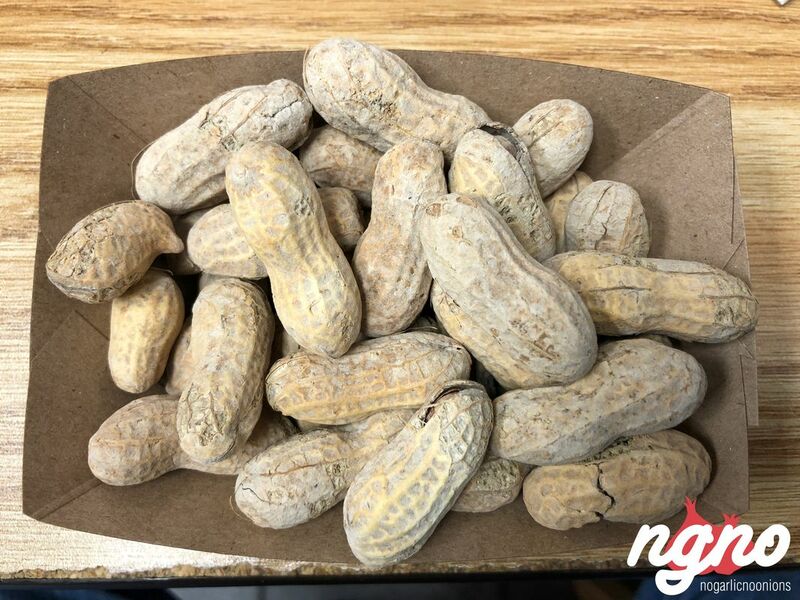 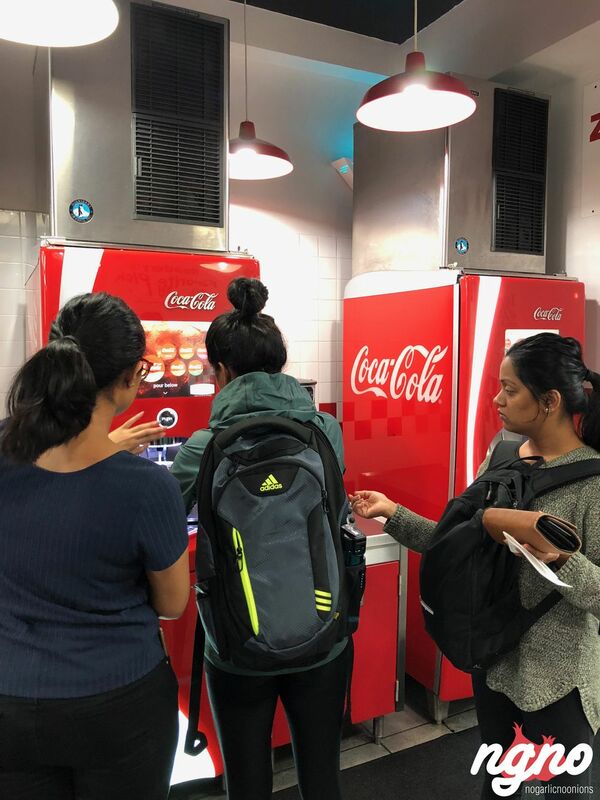 Back to the place: white and red, positive vibes and good music, two Diet Coke fountain machines, an open kitchen and the signature peanuts you can nibble on before your food is ready. 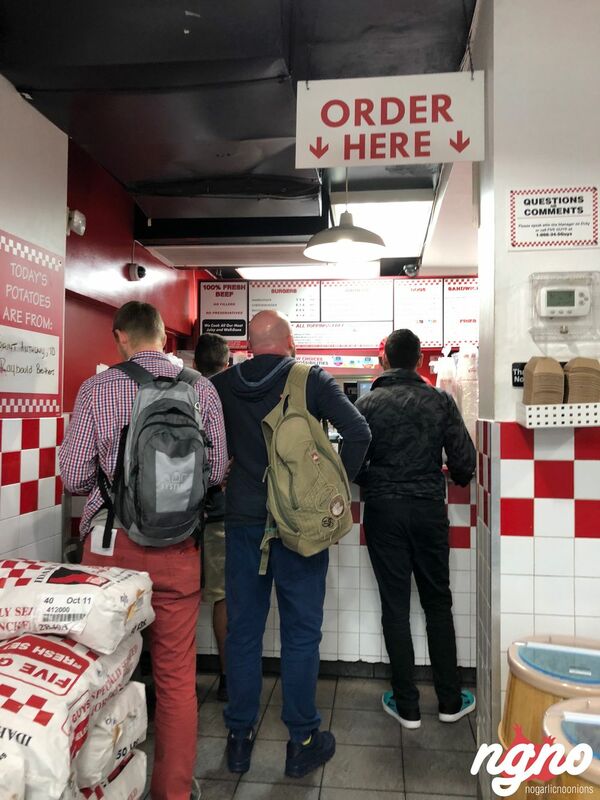 I had the chance to wait in front of the kitchen for my order to see how things are done. 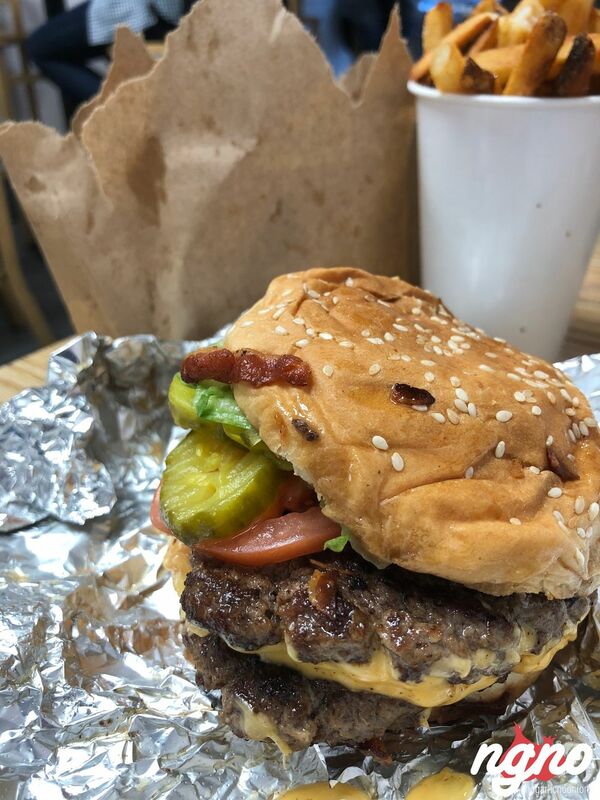 There is a certain vibe in that kitchen, an absolute professionalism, a way of preparing these burgers with such attention giving them that love which you feel in every bite. 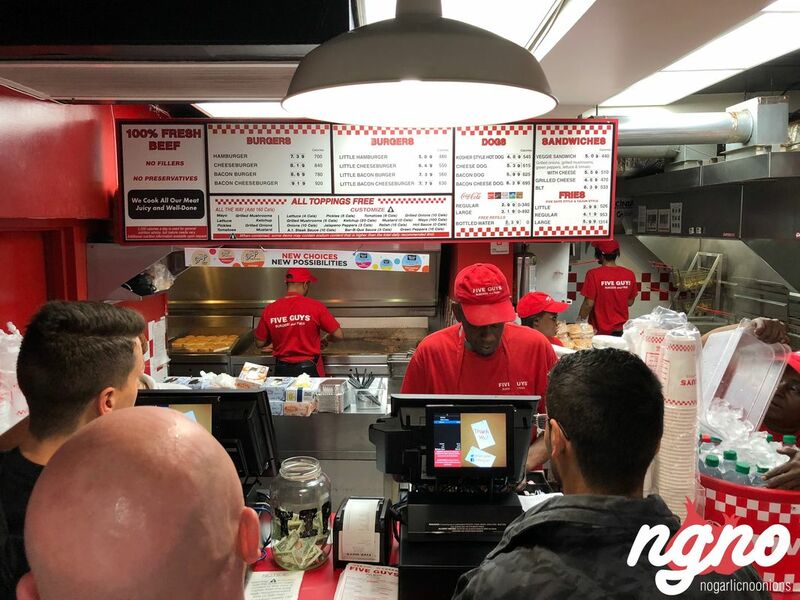 Fries freshly cut on the premises, patties hand grilled one after the other, vegetables added by carefully... everyone is smiling and happy to be here! 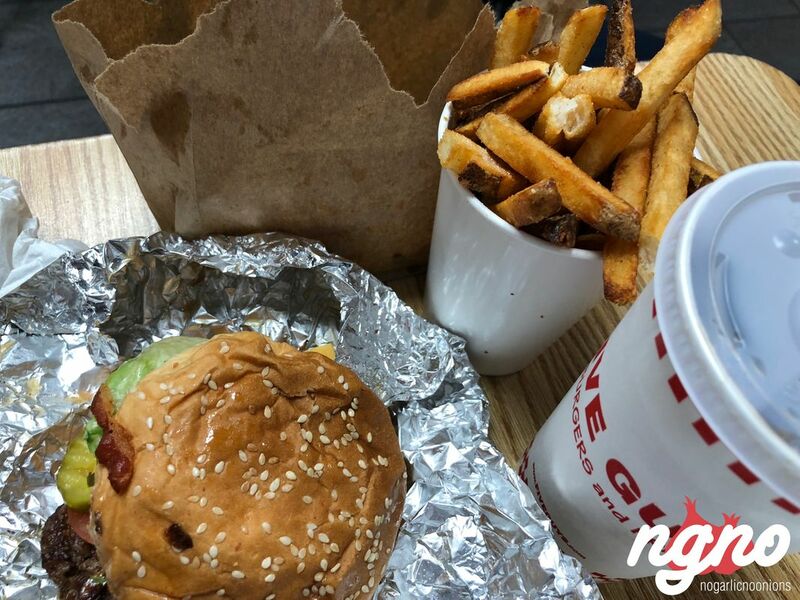 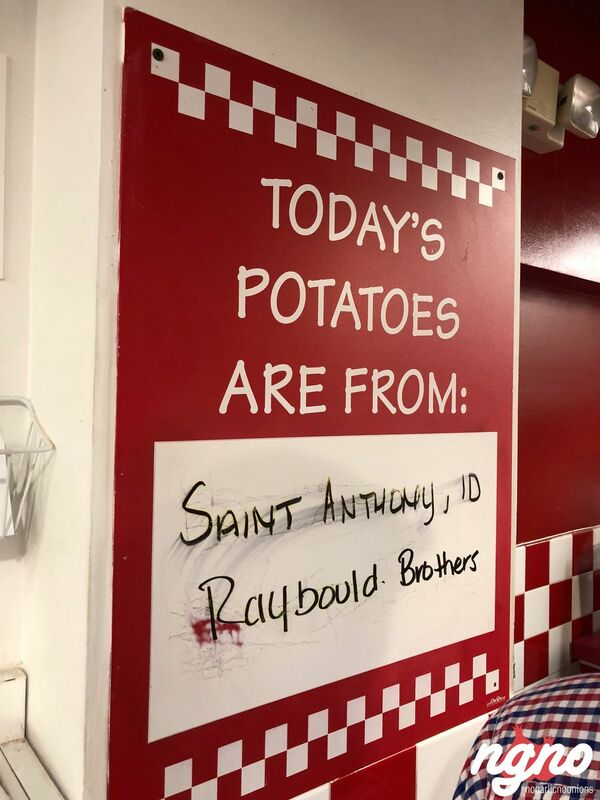 I love it here... hoping Five Guys will make it to Lebanon one day!